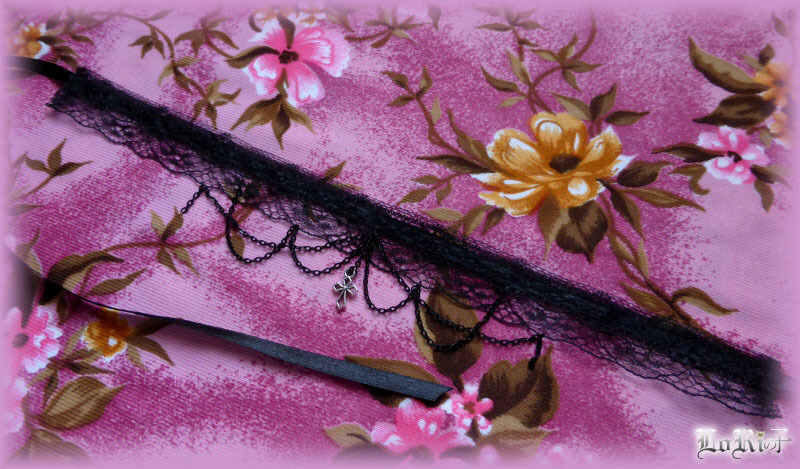 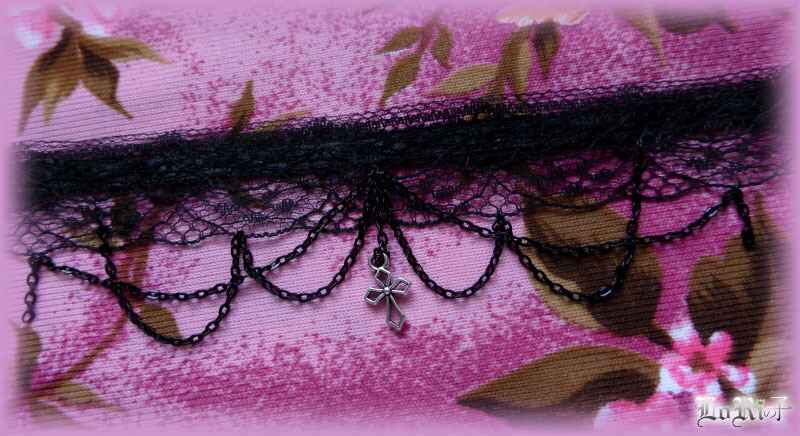 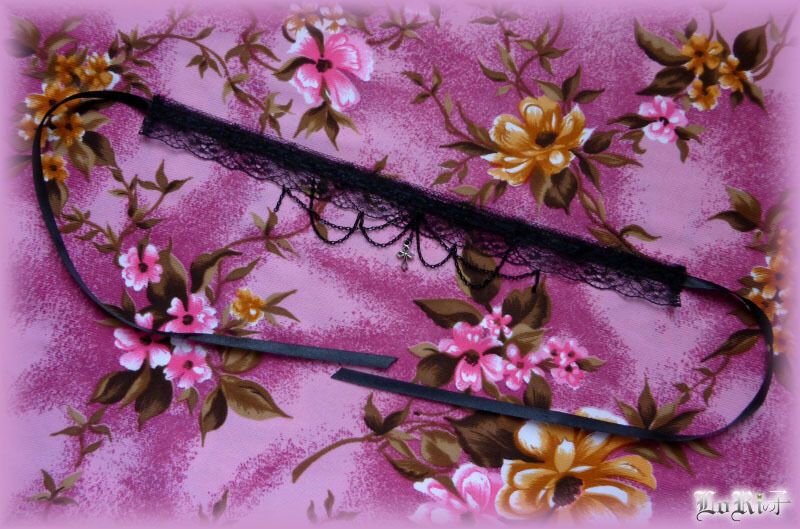 The black choker is made of double thin lace and satin ribbon. 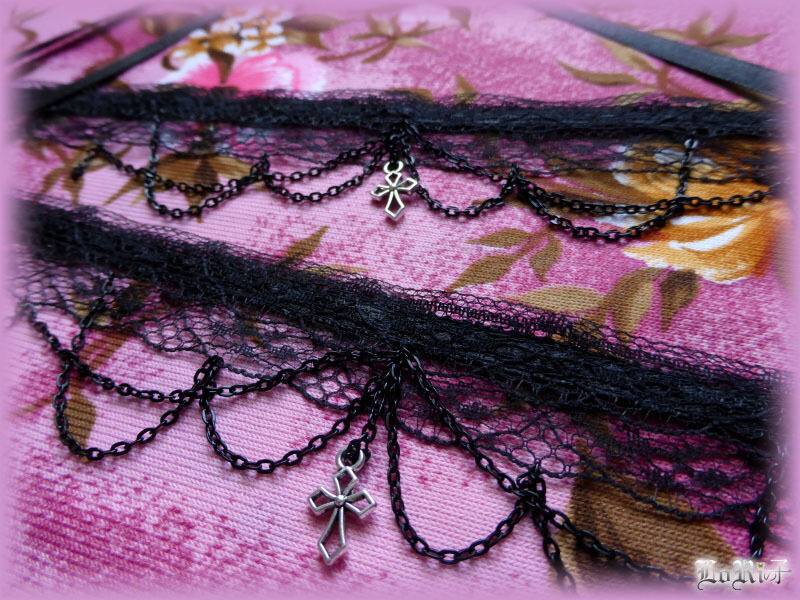 In combination with black metal chain it creates impression of softly woven spider web. 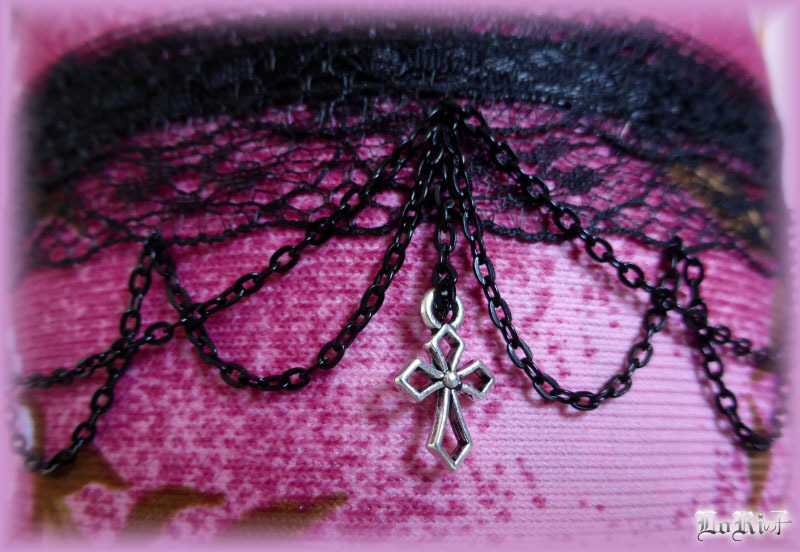 Decorated with metal cross in silver color.